Platelet Rich-Plasma, or PRP, has been recognized as a unique, non-surgical therapy to heal injured tissue. PRP has been used in surgeries to promote cell regeneration since 1987. PRP is produced from your own blood. The platelets are the cells in our body that contain growth factors which stimulate the normal would healing process, e.g. the same way that your skin heals after a scrape. With PRP, you create a supra-therapeutic level of your own platelets (over 500% more platelets than normal blood) so that you heighten the healing of a chronically injured tissue. In most cases, we need to remove scar tissue from the injured site by performing a ‘percutaneous needle fenestration or debridement’. This procedure allows platelets to work in the injured site. Is PRP indicated for me? Most patients achieve successful outcomes with only one injection. In some cases, a series of three injections is required to achieve significant results. Each injection is spaced several weeks apart. There is no limit to the number of treatments you can have; however, literature has shown that about 15% of patients do not see improvement with more than three injections and consider other treatments. Since your own blood is used, there is no risk for transmitted blood-infections. PRP has a strong antibacterial effect so risk of local infection is minimal. It is normal to have increased soreness or pain after the procedure for an average of three days. We will offer you a pain medication to help with this. Will My Insurance Pay For This Treatment? Since this is a fairly new procedure, most insurance companies have not incorporated it yet to their list of approved procedures and do not consider this to be reimbursable expense. The platelets contain growth factors, cytokins and other agents that trigger the healing cascade. Growth factors, such as: VEGF, TGFB, PDGF, IGF and IFG involve in: stimulation of cellular proliferation of fibroblasts and osteoblasts, promote synthesis of extracellular matrix and enhance collagen synthesis. When a high concentration of healing platelets and growth factors introduced into injured are or arthritic joint the healing process is jump-started. 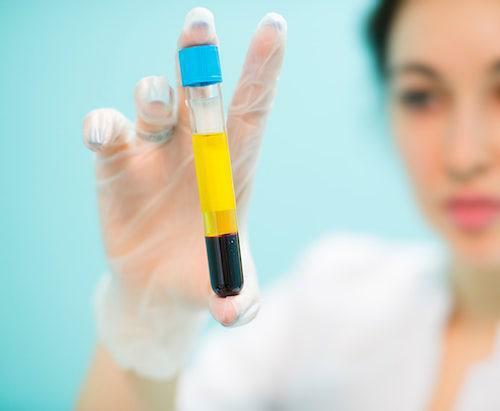 PRP Injections are outpatient procedures. Because the patient’s blood must be drawn and prepared for injection, a typical procedure may take from 20 to 40 minutes. Ultrasound guidance is recommended prior to the injection to confirm the diagnosis, pinpoint the injection site. The use of ultrasound guidance ensures a precise injection – it is also important as for viscosupplementation treatments the PRP injections must be performed directly into the joint capsule. As a joint being a closed compartment, the PRP fluid stays within the joint, coating the affected joint surfaces and exerting its effects through its rich concentration of growth factors. 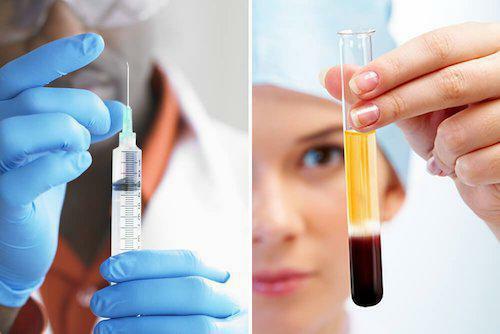 PRP stimulates healing of the injured tissue by activating your body’s natural healing capacity. Patients on average report more than 50% improvement in 6 weeks and up to 100% improvement in 12 weeks. This may eliminate the need for more aggressive and expensive treatment options such as long-term medication or surgery. In addition, PRP Therapy is a minimally-invasive procedure that is done in the clinic; therefore, you can go home the same day.